I am a compulsive recycler and not all of my recyclables go into the pickup bin. I emptied a large container of coffee this morning and discovered that the plastic cover makes a perfect cutting board for a small item. 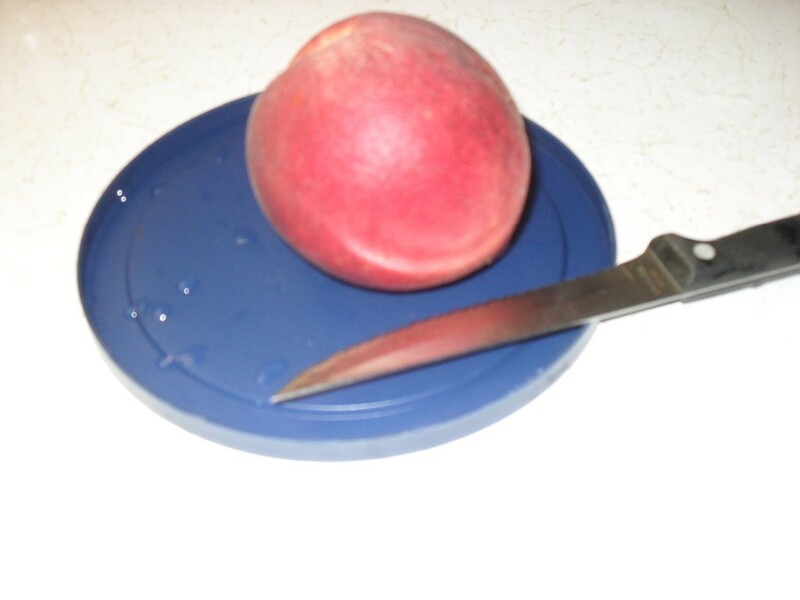 I wanted a peach and it was too much trouble to get out a real cutting board so I washed the lid and used it. When I get to the point of cutting too many things on it, I'll toss it in the bin. My husband and I have been using these for years-for quick camp cutting, in the home picnic bag, in the truck picnic bag (just the basics for unplanned food stops), in our work lunch bags before we retired, etc. Very handy! Great idea! Those lids as well as shortening lids also make great spoon or spatula rests for cooking.